The idea of writing this book orIgmates from a suggestion of Bernard Sapoval: "Why don't you write it?" he asked. 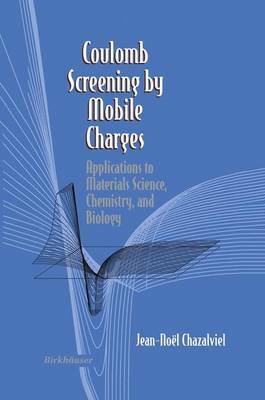 "Coulomb screening is a problem that everybody encounters in many different contexts, and there is no textbook that gathers the various aspects ofthe subject. " The content ofthe book, in a shorter form, was first taught for four years as a course in Dipl6me d'Etudes Approfondies Sciences des Materiaux, headed by Prof. J. -F. Petroff, at Paris VI University. The present extended version was written after discussions with Alia Margolina-Litvin. An essential feature of screening is its role in many different scientific areas. For that reason, the book is intended for use by a multidisciplinary readership. Reading it requires only a basic knowledge ofelectromagnetism, elementary quantum mechanics, and thermal physics. The spirit of the pre- sentation is "simplicity first": new concepts (e. g. , dielectric function) are first introduced in their most elementary form and are progressively extended to more generality. The book stays at a basic level, and additional abstract developments that might have been included have been either omitted, rele- gated to an appendix, or summarized in a qualitative manner. Apart from these restrictions, care has been taken to keep the presentation as rigorous as possible: the topics addressed are dealt with quantitatively, the results are given in mathematical form, and the interested reader should be able to fol- low the algebra all the way through.